human biodiversity, where does culture come from? ...for different folks, american southerners, biology 101, biology and culture, different peoples is different (duh! ), dutch, english, europeans, genes and behavior, genes and personality, germans, iq and culture, pc makes you stoopid, scotch-irish, the south will rise again!, what's this hbd business all about anyway?, where does culture come from?, which came first? “Rates of violence in the American South have long been much greater than in the North. Accounts of duels, feuds, bushwhackings, and lynchings occur prominently in visitors’ accounts, newspaper articles, and autobiography from the 18th Century onward. According to crime statistics these differences persist today. In their book, Culture of Honor, Richard Nisbett and Dov Cohen (1996) argue that the South is more violent than the North because Southerners have different, culturally acquired beliefs about personal honor than Northerners. The South was disproportionately settled by Protestant Scotch-Irish, people with an animal herding background, whereas Northern settlers were English, German and Dutch peasant farmers…. “Nisbett and Cohen’s study illustrates the two main points we want to make in this essay. – Culture is fundamental to understanding human behavior. but what if, also, our biology causes human behaviors which collectively become human culture(s). i mean, in cohen & nisbitt’s study, there’s cortisol and testosterone levels going up. that sounds like biology to me! personality is heritable. so is intelligence. 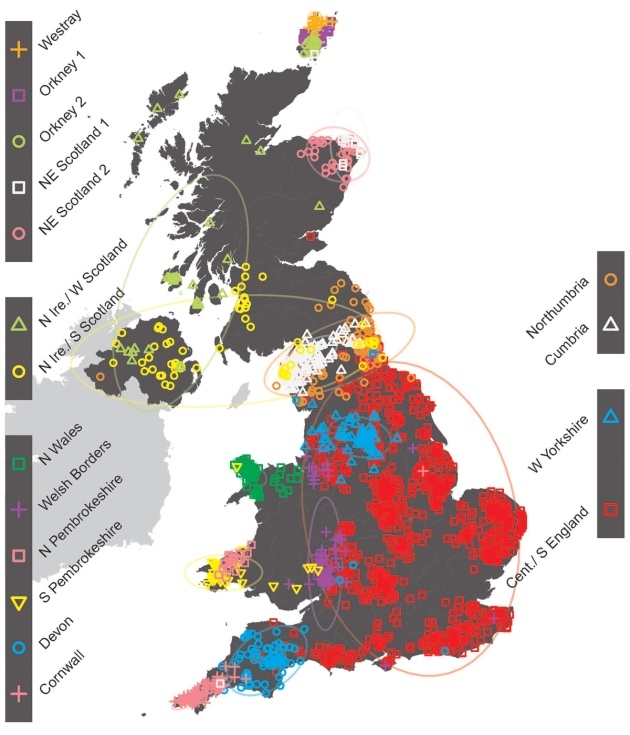 what if different frequencies of whatever genes (alleles) it is that contribute to, say, flying off the handle happen to be more common in protestant scotch-irish people than in the english, german or dutch? couldn’t that account for why the culture of the american south is more violent? i’m sure that there’s constant feedback here between our biology(ies) and our culture(s), but how come researchers never even bother to ask the sort of question i’m asking here? seems kinda, you know, obvious.